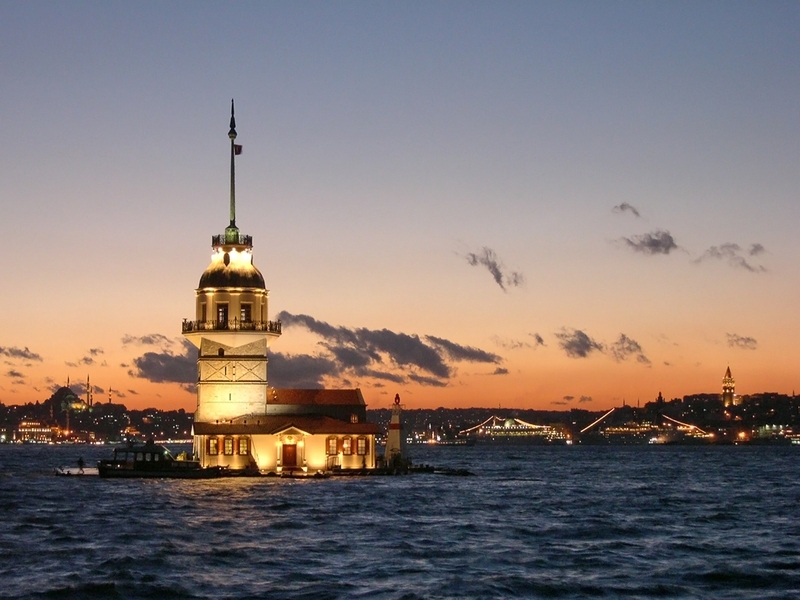 Istanbul is the largest city in Turkey, constituting the country’s economic, cultural, and historical heart. 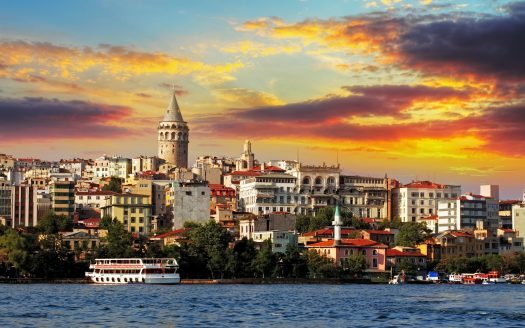 Istanbul is a transcontinental city in Eurasia, with its commercial and historical centre lying on the European side and about a third of its population living on the Asian side of Eurasia. With a population of 14.4 million, the city forms the largest urban agglomeration in Europe as well as the largest in the Middle East, and the sixth-largest city proper in the world. 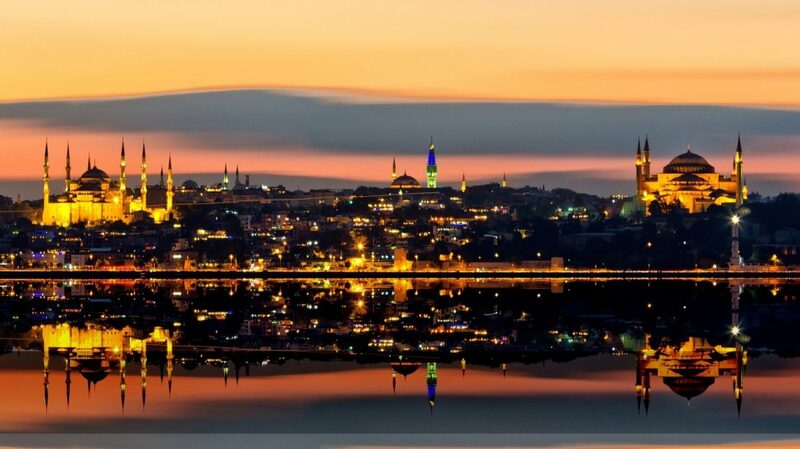 Istanbul’s vast area of 5,343 square kilometers (2,063 sq mi) is coterminous with Istanbul Province, of which the city is the administrative capital. 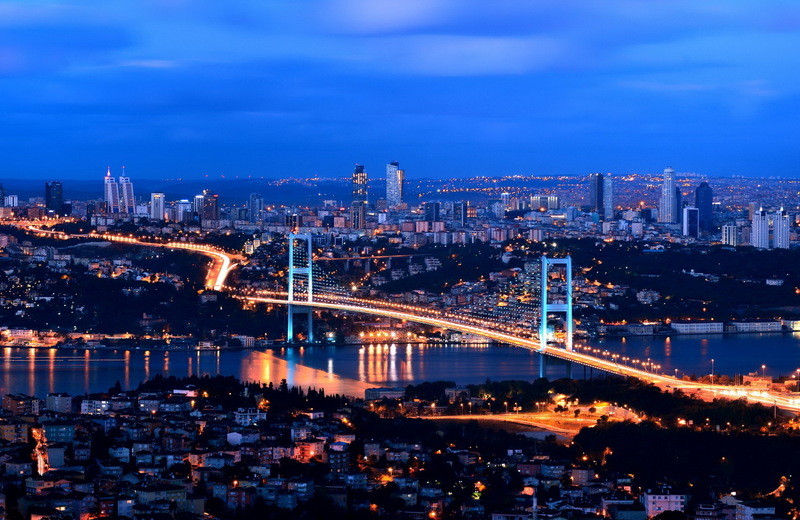 Istanbul straddles the Bosphorus strait in northwestern Turkey, between the Sea of Marmara and the Black Sea. 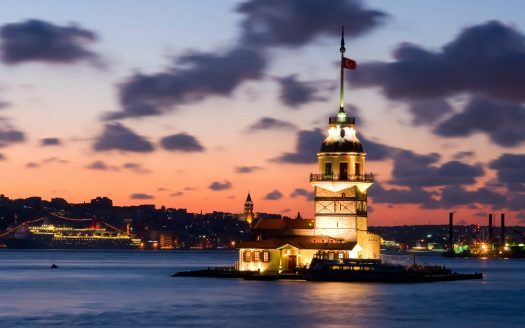 Founded on the Sarayburnu promontory around 660 BC as Byzantium, the city now known as Istanbul developed to become one of the most significant cities in history. For nearly sixteen centuries following its reestablishment as Constantinople or Nea Romi (“New Rome”) in 330 AD, it served as an imperial capital for the Roman (330–395), the Byzantine (395–1204 and 1261–1453), the Latin (1204–1261), and the Ottoman (1453–1922) empires. It was instrumental in the advancement of Christianity during Roman and Byzantine times, before the Ottomans conquered the city in 1453 and transformed it into an Islamic stronghold and the seat of the Ottoman Caliphate. Istanbul’s strategic position along the historic Silk Road, rail networks to Europe and the Middle East, and the only sea route between the Black Sea and the Mediterranean have helped foster an eclectic populace, although less so since the establishment of the Turkish Republic in 1923. Overlooked for the new capital during the interwar period, the city has since regained much of its prominence. The population of the city has increased tenfold since the 1950s, as migrants from across Anatolia have flocked to the metropolis and city limits have expanded to accommodate them. 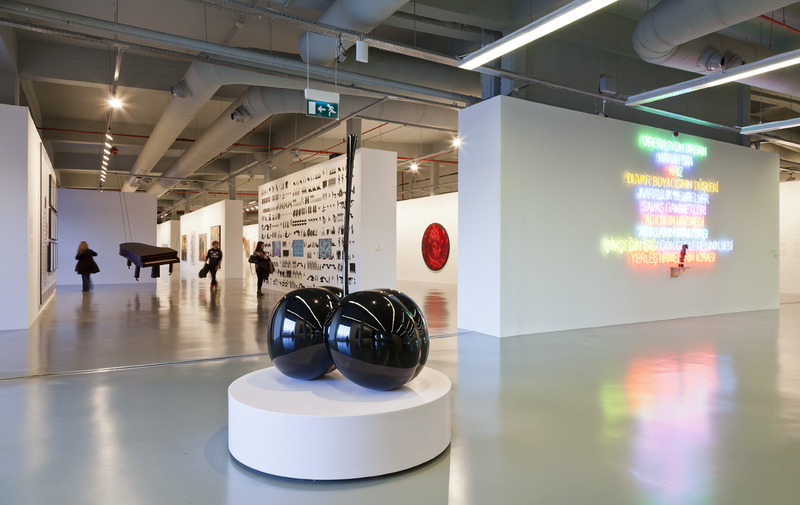 Arts festivals were established at the end of the 20th century, while infrastructure improvements have produced a complex transportation network. 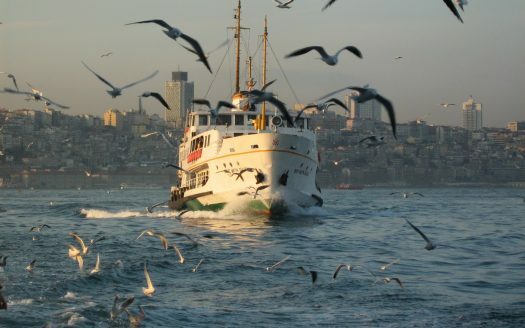 Approximately 11.6 million foreign visitors arrived in Istanbul in 2012, two years after it was named a European Capital of Culture, making the city the world’s fifth-most-popular tourist destination. 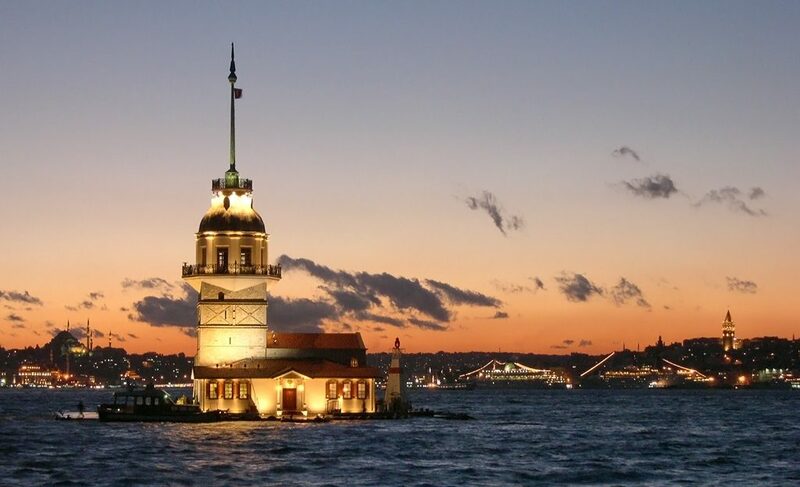 The city’s biggest draw remains its historic center, partially listed as a UNESCO World Heritage Site, and its cultural and entertainment hub can be found across the city’s natural harbor, the Golden Horn, in the Beyoğlu district. 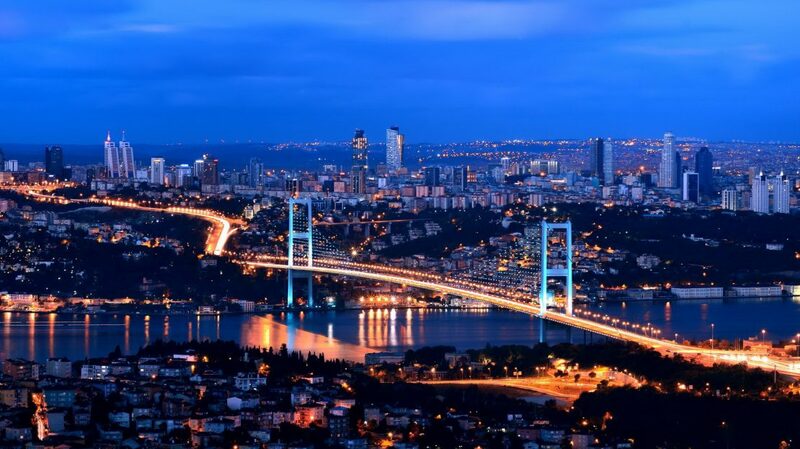 Considered a global city, Istanbul is one of the fastest-growing metropolitan economies in the world. 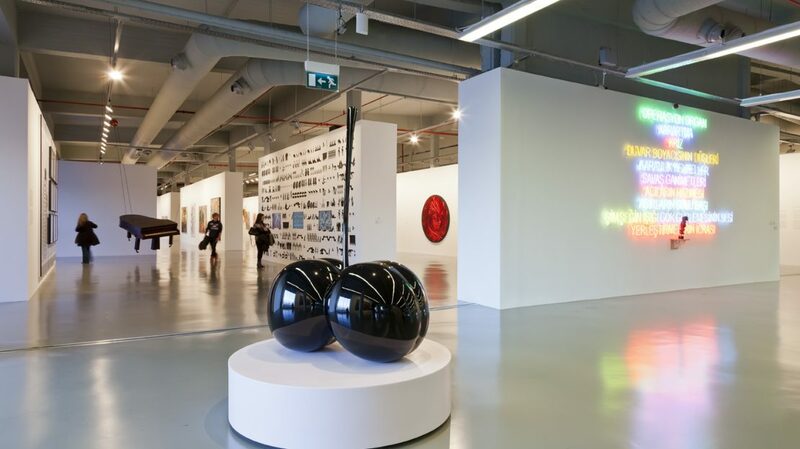 It hosts the headquarters of many Turkish companies and media outlets and accounts for more than a quarter of the country’s gross domestic product. Hoping to capitalize on its revitalization and rapid expansion, Istanbul bid for the Summer Olympics five times in twenty years.